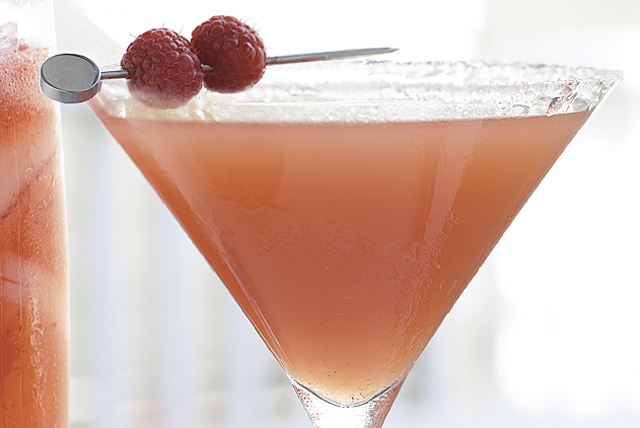 Toast to this fabulous alcohol-free Rasmopolitan cocktail. When served in martini glasses, a Rasmopolitan could pass for the classic Cosmopolitan, and it takes just minutes to mix. Serve in martini glasses with rims that have been dipped in water, then sugar. When serving adults, substitute vodka for 1/2 cup of the water if desired. This refreshing drink can be prepared ahead of time. Refrigerate until ready to serve. Kick back with this colorful, naturally fat-free "mocktail." As a bonus, the fortified CRYSTAL LIGHT Sugar Free Drink Mix is a good source of calcium and the cranberry raspberry drink is high in vitamin C.